Ultra fresh, lightly tangy and incredibly luscious! 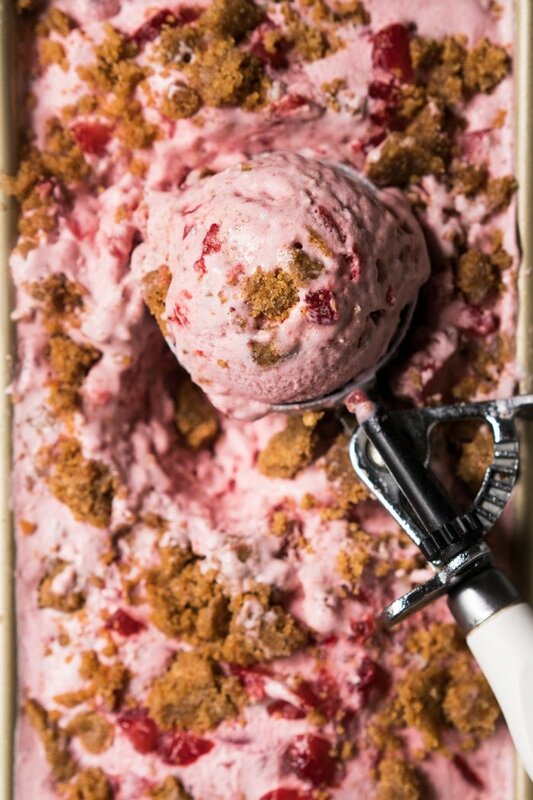 This no-churn gluten free and keto strawberry cheesecake ice cream, with its instant ‘graham cracker’ crumbs, is one for the books. Did I also mention this low carb ice cream is super easy to whip up?! 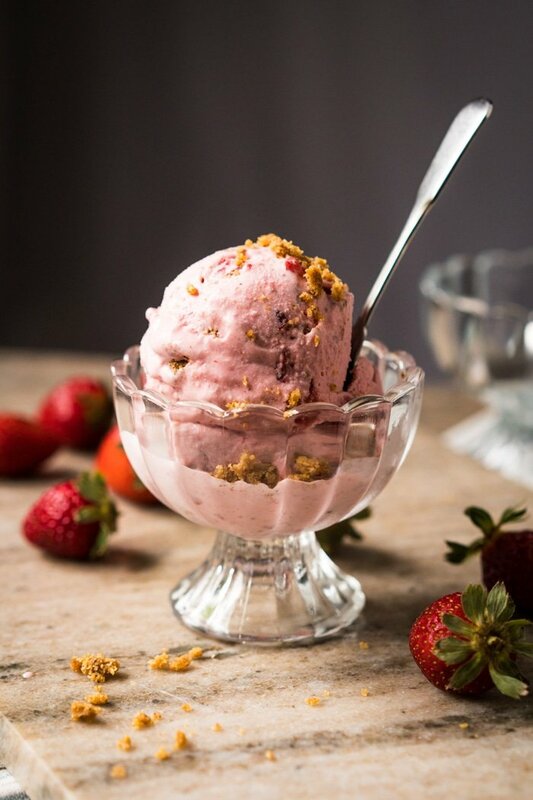 With a few simple tricks, this recipe for keto strawberry cheesecake ice cream will yield ridiculously creamy results; no churning required! And yes, those are our real life (1g net carb!) keto ice cream cones! They come in chocolate too btw. Looking for more ice cream flavors?! Don’t miss out on our specials: luscious vanilla, ultra decadent chocolate, wakey-wakey (i.e. coffee) and mint choco chip! 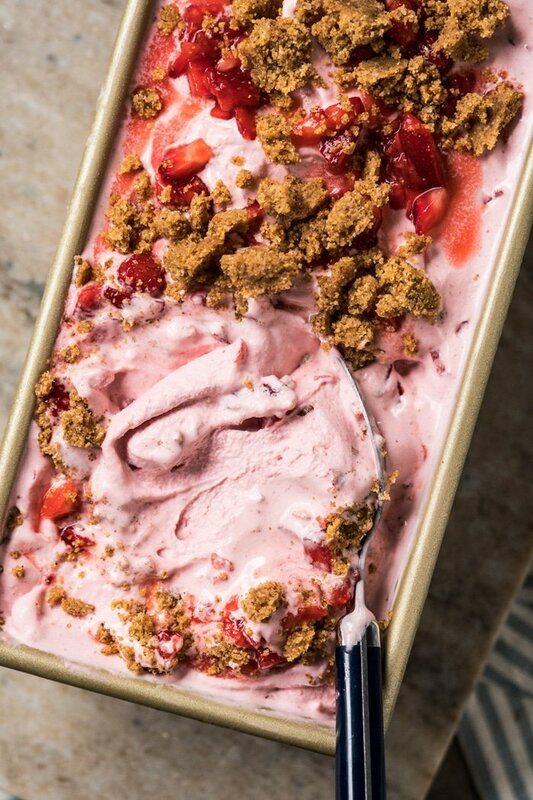 Making this no-churn keto strawberry cheesecake cream is a breeze. Think melting the sweetener and cocoa into (full fat!) coconut milk, whisking in a tad of xanthan gum (which acts as a stabilizer here), and incorporating the cooled mixture into whipped cream. 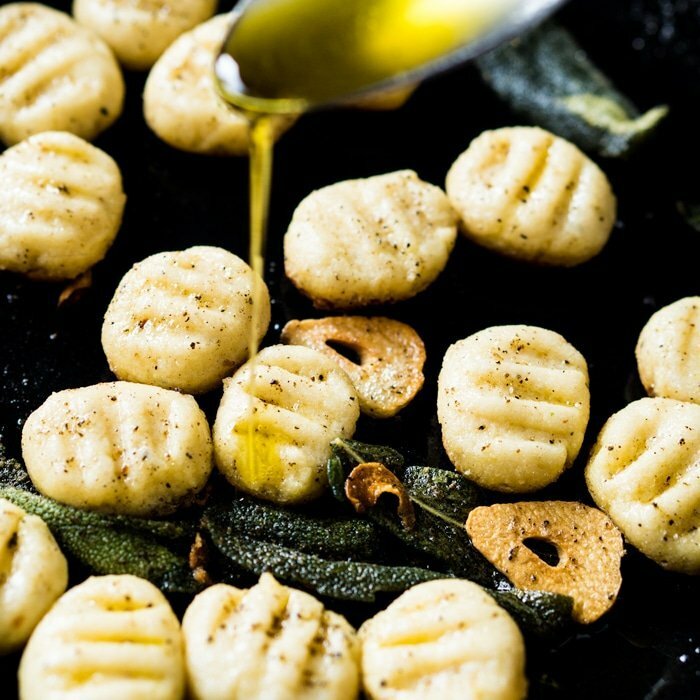 You see, by whipping up the heavy cream you’re incorporating quite a bit of air. And the addition of xanthan gum helps keep your ice cream creamy smooth. And if you plan on making a larger batch and letting it hang in your freezer, it’s generally a good idea to incorporate a couple of tablespoons of booze into your ice cream (particularly if you use erythritol, see below!). Remember that high alcoholic beverages do not freeze, so they will help your ice cream stay creamy smooth rather than rock-solid. Just don’t overdo it, or you’ll end up with a slushy. Cooked versus fresh, that is the question! You see, if you cook your strawberries you’ll end up with creamier ice cream… but loose that burst of freshness. Literally think eating cooked vs fresh strawberries and you’ll know what I mean. But if you leave them fresh you’re bound to create a tad bit of iciness as you’re introducing more water… which is honestly not a biggie in my book (particularly if you use allulose or xylitol as your sweeteners, see below). So my personal favorite? Always fresh for that intense strawberry flavor burst! 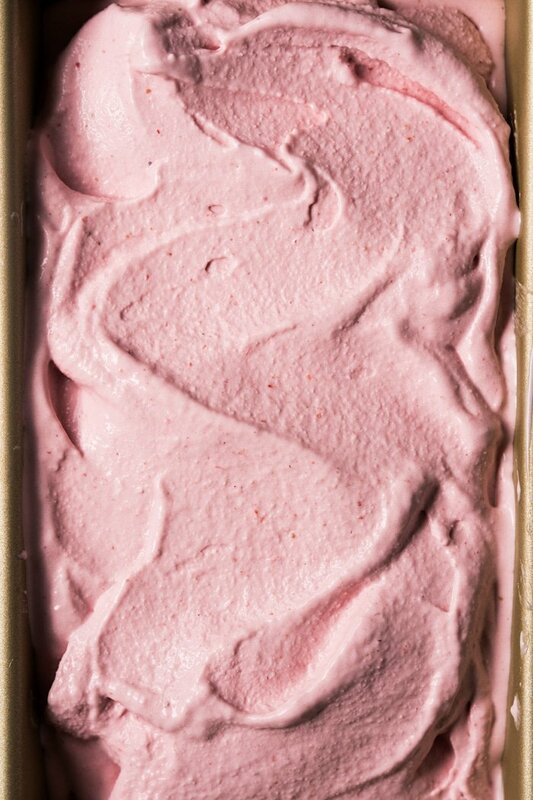 I mean, even in top gelaterias strawberry is always bound to be a tad bit more icy than say chocolate or coffee! The price to pay, I say! I’m definitely going to suggest you guys take the lazy route (like I did!) and go for our instant ‘graham cracker’ crumbs (i.e. crust), as opposed to making some actual keto graham crackers. In the end, the cookies will get a big soggy so there’s barely a difference… and arguably ‘the crumbs’, with its toasted almond, are even tastier! Having said that, I’ve made ice cream sandwiches with the crackers and they’re ah-mazing! Your choice! Having said that, this ice cream is sooo luscious, that you can get away with using erythritol with relatively good results too. Though it most likely will freeze rock-solid, and you’ll have to let it hang out for about 15-30 minutes to scoop it out. And if using xylitol, make sure to be careful if you have a pup (or pet) around the house, as it’s highly toxic to the little guys! Ultra fresh, lightly tangy and incredibly luscious! 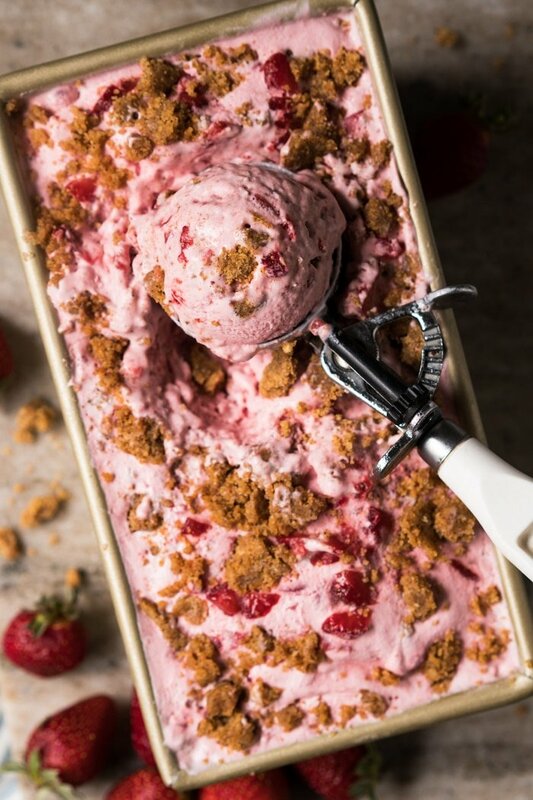 This no-churn gluten free and keto strawberry cheesecake ice cream, with its instant 'graham cracker' crumbs, is one for the books. Make a puree by simply blending strawberries with the cream cheese in a food processor or blender and sieve it. Feel free to set aside (or add!) a handful of diced strawberries if you like 'fruity bits' in your ice cream! Set aside. Add coconut milk, sweetener, and salt to a saucepan over medium heat. Whisk until all the solids from the coconut milk have the dissolved and the mixture is smooth. Sprinkle xanthan gum little by little and whisk (or blend with an immersion blender) until fully combined. You will likely have some air bubbles, but be sure to check there are no lumps. Any lumps will be resolved by mixing with an immersion blender (or in an actual blender). Sieve the mixture to a bowl, stir in vanilla extract, cover with a layer of cling film (saran wrap) laid directly over the mixture (to avoid a 'skin' forming), and allow the mixture to cool completely. The texture will be thick and jelly-like (don't worry, your ice cream won't have this texture!). Add heavy whipping cream or cold coconut cream to a large chilled bowl and whip until soft peaks form. Mix in the chilled vanilla mixture, followed by the strawberry cream cheese mixture. 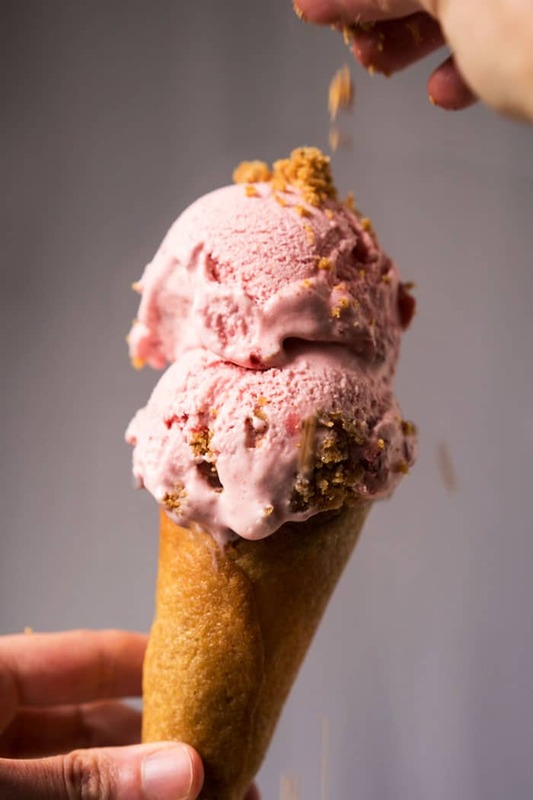 If you're adding in graham crackers or crumbs, fold them in once the ice cream is semi-hard (either right after churning or about 2-3 hours after freezing). Transfer toasted almond flour to a medium bowl, and mix in sweetener, cinnamon and salt. Add in butter and mix until thoroughly combined. Form into clumps using your fingertips, transfer to a plate and allow to come to room temperature and freeze for 15-20 minutes before folding into the ice cream. 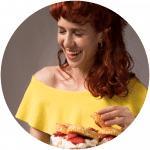 **Xylitol and allulose are, without a doubt, THE BEST sweeteners for keto ice cream. They helps to retain the creamy texture (i.e. just like the alcohol, it prevents it from freezing rock solid), and allows you to skip the churning if need be. Please see section on sweeteners for more tips and subs. Please note that nutrition facts were estimated per scoop (about 1/2 cup). Do I need to blend the xylitol granules to a powder first? Can I use frozen strawberries? If so, would I just cook them down, cool them, and then blend with the cream cheese? I’m having a hard time finding some good fresh strawberries in Nevada right now! This looks AMAZING by the way. Hi could someone please clarify regarding the “full fat” coconut milk. I’ve seen canned and cartoned coconut milk, but it doesn’t specify full fat. Then I’ve seen coconut CREAM which has a thicker texture for sure. Which do I use for this recipe? I have both in my pantry. Both products seem to have very similar fat contents and carb counts, and identical ingredients, (coconut milk, water, guar gum). But the cream appears thicker and more concentrated. Hi Maureen! It’s the canned version- I always link in the post the EXACT products I use so you guys get the best results 😉 co! Thank you. Yes I did see the link to the product. I have quite a bit of both canned coconut milk and canned coconut cream here at home already and just wasn’t sure if one was preferable. Wow!! You’re always outdoing yourself!! Can’t wair to try this!! My strawberries aren’t that flavorful – perhaps out of season? I was thinking of adding a tsp or two of strawberry extract. What do you think? 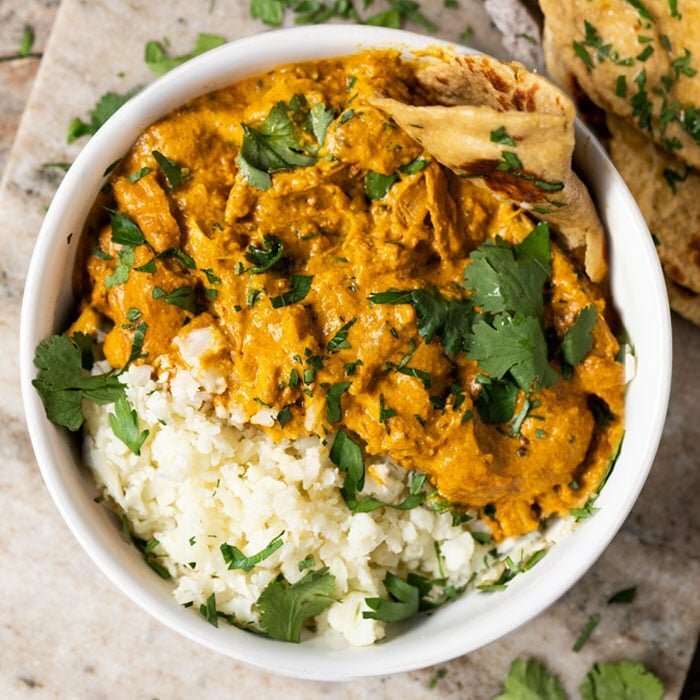 Can I use whole milk instead of coconut milk? It won’t come out as creamy and will have waaaaay more carbs (not sure if you’re Leto just FYI) xo! Oh, ok. My husband and I are mainly carnivore keto, but my kids are pretty much regular keto and they drink whole milk once in a while. I am gonna try it with whole milk and I’ll do another batch exactly like your recipe. I just never use coconut milk, so I wasn’t sure. 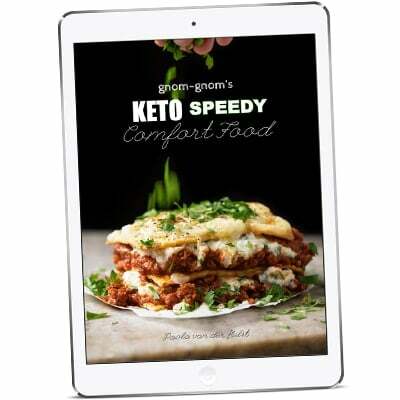 Also, can’t wait to try it with xylitol, because I’ve made keto ice cream with swerve and you’re right it gets so hard. I had to wait 30 min to be able to scoop it. Yeah xylitol and allulose are awesome! Regarding milk, it varies from person to person, and tbh I do drink raw grass-fed milk during my carb ups for its nutritional benefits (just watch the carbs!) xo! 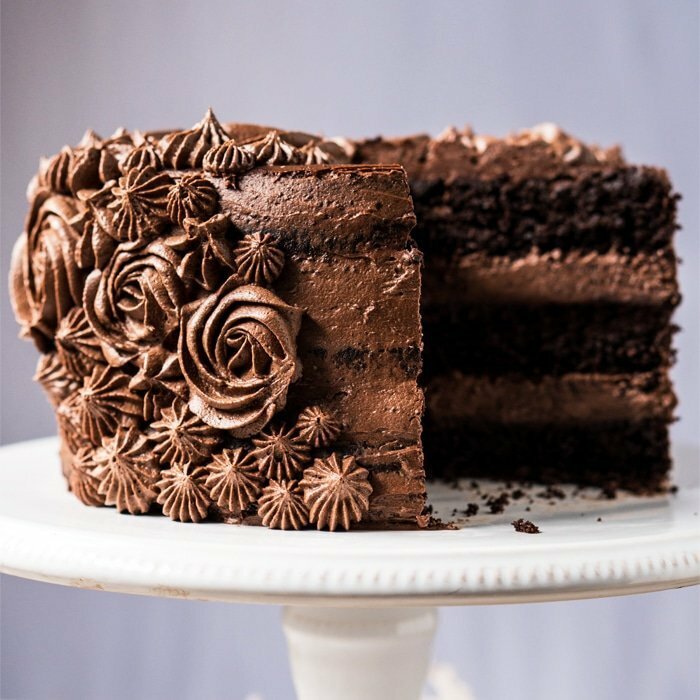 I just have to make this today! However, in the recipe directions, the last area says to add the “coconut cream” or heavy whipping cream to a bowl and whip it. When do you add the sour cream? or do you not add sour cream? I don’t want to ruin it by adding too much “cream”. Can you please elaborate if it should be sour cream or coconut cream or either or both that you mix with the whipping cream? Thank you soooo much. BTW, I could just eat those crumbs on ANYTHING! I mixed some in my yogurt and YUM! Now I have to make some more for the ice cream! My mouth is literally watering!! Cant wait to make it thanks Paola!! My pleasure Kay Kay enjoy! !